Start by tossing a chicken breast in ½ tbsp of olive oil and sprinkling both sides in fresh rosemary. Toss on a hot grill and cook until well done on both sides, allowing some grill marks to develop. Next, poke some holes in a medium potato and microwave for about 3 minutes. Whilst the potato is cooking, chop up your chicken breast, half cucumber and the 1 cup of greens. 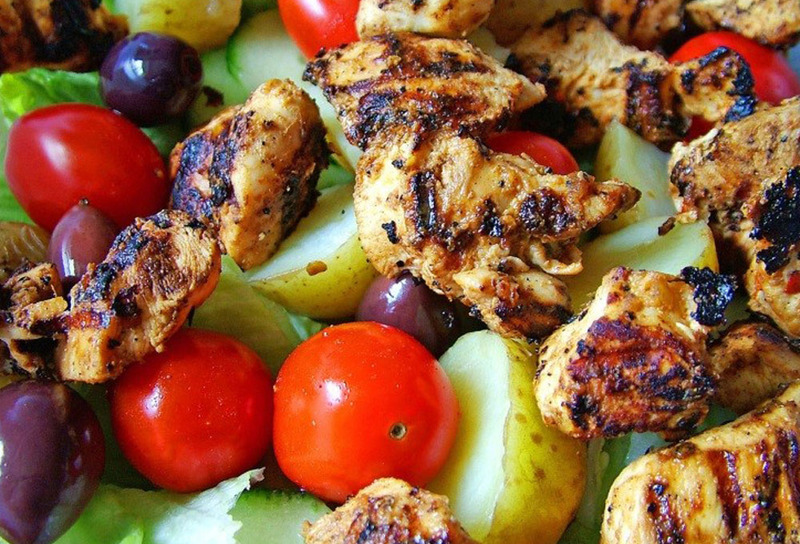 Once the potato is cooked, chop into bite sized pieces and toss with chicken, greens, olives and cucumber. Top with red wine vinegar and olive oil for extra flavoring and enjoy!